When travelling in RoadAbode, we enjoy trying the local cuisine. In Maine, it's popovers at Jordan's Pond. In Connecticut, it's a lobster roll at Costello's. In Maryland, fishing and enjoying crabbing with friends. And in Pennsylvania, there are too many treats to mention here. We do tend to try local eateries when travelling. It's part of the experience for our family. To keep our costs in line, we do make and eat many of our meals in RoadAbode. Since we are mostly "weekenders," we'll bring along some breakfast foods, pickup fresh produce at farmers markets, and shop at the local grocery store. When we go to Lancaster PA, part of our fun is to go into the massive Shade Maple supermarket to gather fresh ingredients for lunch or dinner. However, we try to be smart and always have certain items on hand in RoadAbode's pantry. These are items that are shelf stable, don't need refrigeration, easy to create a meal with and can be added to some fresh ingredients. Sometimes in a pinch they can make a meal or snack on their own. Talking with the rest of the RoadAbode Crew, we discussed the most essential items we like to keep in RoadAbode. We came up with about 15 things, Since cabinet space is a premium, I wanted to pare the list down to just seven items that we could all agree were the most important. Below are the items we leave in RoadAbode or replenish to have on hand throughout our RVing season. Though we don't leave them in RoadAbode trip to trip, eggs are inexpensive, easy to get and can be stored without refrigeration. I've read tips that you can store eggs for weeks if treated properly and stored in a cool, dry place. We usually will have a dozen on hand for a weekend, and most convenience stores have them if we are venturing out. Even well stocked camp stores will have eggs, and they are still pretty inexpensive. There are even powdered eggs if we did want to keep them in RoadAbode throughout the season. Eggs make our essentials list because we love them for breakfast, are great as a lunch sandwich, or are needed as an ingredient for a quick cake. 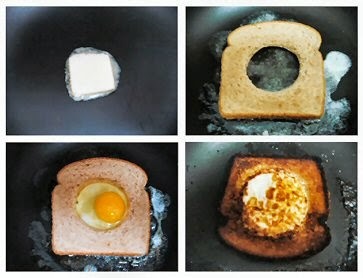 Egg Salad, egg drop soup, or if we have bread too - French toast or "Eggy in a Basket" make for a good base for any meal. Peanut butter is one of the foods I was raised on as a kid. Nothing beats a classic PB&J with milk. Or for a simple snack try taking slice of apple and dipping it with some peanut butter. 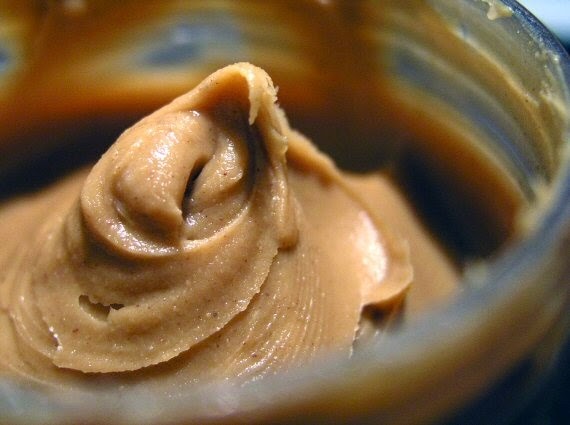 In a pinch - licked right off a tablespoon, peanut butter is a favorite! Just be mindful if camping with friends, If they have an allergy to the stuff. Add peanut butter to a soft taco and roll up with your favorite sliced fruit (we like strawberries and ripe bananas) for a wrap it, pack it and go lunch ready for the trail. Blend Greek yogurt, peanut butter, honey and banana - pour the mixture into a plastic cup. Freeze, top with melted chocolate and enjoy this spectacular dessert. Run out of butter? Use peanut butter as a substitute. It adds a great nutty flavor. Try pasta with a Thai influenced peanut butter sauce instead of traditional tomato sauce. You only need five ingredients- 5 tablespoons peanut butter, 3 tablespoons warm water 2 1/2 tablespoons vinegar 2 packets of soy sauce. 3 packets of sugar (you save packets of stuff you don't use, right?) Mix together and chill for two hours. Cook your pasta, drain, and put this mix over it.Add your favorite hot sauce to taste. And - really easy peanut butter cookies! Mix together: one cup of smooth peanut butter, one cup of sugar, one egg. Cook them at 350° for 10-12 minutes, and they’re done! Don't have sugar? Try some honey, maple syrup or applesauce. Campbell's Soup Company has been around since the late 1800s. A local company and Philadelphia favorite, Campbell's currently produces over a dozen different lines of soup around the world, As a kid in the '70s, we had soup with our evening meal almost every night. My mother made plenty of soups from scratch, but since she worked part time, this meant some were canned soups. For RoadAbode, our old stand by is Campbell Soup, but we also use other types as well..Canned soup makes our essentials list because when we are RVing in cold months, a hot cup of soup with a sandwich is a perfect way to help warm us up. 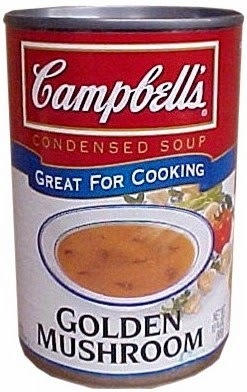 What's great about Campbell condensed soups is their ability to be used as a sauce or flavoring to add to your meal. Here's a meal we really enjoy. In the morning, setup your slow cooker with chicken and sliced vegetables. Pour in a can of Campbell's Golden Mushroom Soup, add a half can of water and enjoy your day out. Six or so hours later you have a great meal to come home to! The world over these two are essential foods. With a long shelf life and with plenty of options to use pasta and rice would make anyone's list. As a quick side to your entree, nothing is simpler and easier than pasta or rice. From macaroni, ziti, and angel hair to other types of pasta, they are tasty, filling and complement many other foods. Pasta is a great complement not only for tomato sauce, but to add interest to salads, and be included into casseroles or baked dishes. Similarly, rice can enhance a salad or be used as a mail dish, but you can also make rice into a dessert. Combine 2 cups cooked white rice. 1 tablespoon ground cinnamon, 1 (12 ounce) can evaporated milk and 1/2 cup sugar in a saucepan and put on stove at medium heat. Stir occasionally and bring to a boil; cover and reduce heat to low. Cook until thick and creamy, 5 to 7 minutes. Don't have cinnamon? Try using nutmeg, allspice or a topping of honey or maple syrup in a pinch. SPAM is one of the staples that my parents use to keep in our home. Accompanying eggs for breakfast, in a sandwich for lunch or in a casserole for dinner, SPAM is just about a comfort food for the RoadAbode Crew. One of my favorite memories was hiking with my father. I was about seven or eight, and was getting hungry. My father sat us on a stump near a stream, took a crumpled brown bag from his knapsack, and produced a can of spam and a hunk of rye bread. Using his pocket knife - the one he used for everything from cutting bait to whittling - he cut a few slices of bread and spam and made us each a sandwich. The salty meat and dough yet crisp-crust bread felt like the best meal I ever had. Maybe it was the surrounding and the company, but I like to enjoy a SPAM and rye sandwich now and again, part flavorful meal, part great memory. We've recently started to re-discover packaged salmon. It feels a bit "richer" than tuna, and from what I understand, is a more sustainable fish because of the way it is caught and processed. 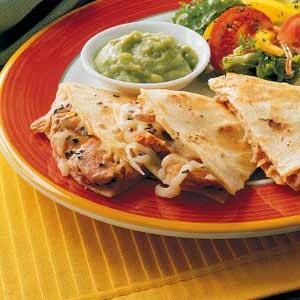 It's great addition to make an elegant salad, transform mac-n-cheese, or try making salmon quesadillas. Salmon is tasty and a great source of protein. Perfect for our essentials list. The primary reason this is an essential for the RoadAbode Crew? I like milk with my coffee. Sometimes we either forget to bring with us, or the girls go through our fresh milk more quickly than expected. By keeping a few of the "single serving shelf stable" boxes (look like kids juice boxes) in our pantry, I can still enjoy my morning coffee. Evaporated or condensed milk work too, just remember that condensed milk is going to have a sweeter taste. Not just for my coffee, it works over cereal, and to add to sauces, oatmeal, or to replace regular cream or milk in other recipes. Those instant oatmeal packs are more versatile than you think. You can even make your own packets. what makes them "instant is processing half the amount through a blender, and adding your Maple sugar (or favorite flavoring) beforehand. Not just a great breakfast or an in-between snack after an active day, oatmeal instant single serving packs can be used as a thickener for sauces or smoothies, or how about a "Mug Muffin? Throw everything into a coffee mug and mix it well. Put it in the microwave for 1 minute (you may want to put a plate under it in case it overflows). Cook in extra 30 second to 1 minute increments until it firms up to your liking. These are our seven must-have staples - what are yours? There are plenty of other things we keep in RoadAbode. Shelf stable "Velveeta" style cheese, sugar, ketchup, drink mixes and a variety of spices to name a few. We figure if we keep the seven above items in RoadAbode when we are out - we won't go hungry or feel like we are just "making do" for a meal. What's best is when we can augment our food store and pick wild blueberries, harvest apples somewhere or find a great local produce stand or farmers market when we are out on an adventure. What do you think we missed? 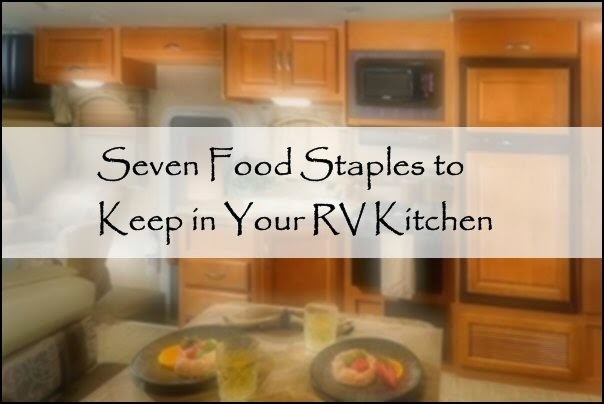 What are your staples that you must have when you go RVing? Let us know in the comments below. Happy RVing! A staple we have to have: coffee! Gotta have the cup o' joe in the morning, and we have been known to have a cup or two in the evening. Others that we always have on board: pork and beans, popcorn, potatoes, salad dressing (good for topping lots of things) and bananas. Yup, I'd agree to a good cuppa coffee but the rest of the "crew" didn't. Tea is a good backup for us. Salad dressing is a good tip! We like those small "dipping" containers of Ranch dressing for our trips out. Thanks for checking in and adding great tips guys!